At the conclusion of the course the student will have a solid foundation in practical contemporary synthesis techniques within an industry standard synthesizer, will have created a piece of music to demonstrate his or her skills, and will have developed the ability to critique synthesizer patches based on their appropriateness, emotional impact, category, and expressiveness. This session will introduce you to synthesis and electronic music and getting started using Strobe 2. You will be asked to submit a mock up of initial ideas for your final project, to help you set their goals and begin to think about the overall vision for your song. 1. Welcome to Designing Synthesizer Sounds! 2. What is Unique about Electronic Music? This session will dive into different types of synthesizer sounds from lead synths to organs & keyboards, and more. You will learn how to start crafting your own patches to use in your compositions. This session will take a deeper look at building and tweaking patches to get the perfect sounds for your song. We will also start to discuss your audience, and how to direct their focus, attention, and energy throughout the various sections of your piece. 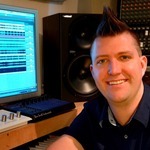 This session will look at incorporating timbre, sequencing, special FX, and texture into your music. You will be asked to submit the final version of your song. Understanding of the main aspects of contemporary subtractive synthesis including: Oscillators, Filters, Amplifiers, Envelopes, and LFOs. Ability to design custom synthesizer sounds to fill the most common musical roles including: Basses, Leads, Pads, Drums, and FX. Advanced use of synthesizers to create electronic music with dramatic emotional journeys. Pre-Requisite Knowledge: students should have experience with a digital audio workstation and be comfortable using one that supports VST, AAX, or AU plugins. Berklee and FXpansion have partnered to bring you a free, 90-day trial of Strobe 2. This demo includes all of the features available in the full version and is only available to students in this course. To download your free 90-day demo of Strobe 2, click here. Once you have entered the code and verified you are a student in this MOOC, the demo will appear within the "My Registered Products" page in your user account and you can download it for free. Please view the document below for instructions on downloading and authorizing your Strobe 2 demo. A simple USB keyboard controller that can interface with your DAW is also required, an M-Audio Oxygen 25 is an example of a small keyboard controller that could work well for this course.